Eckerton Hill Farm is now partnering with Great Bend Farm to offer a flower share through the summer CSA season. 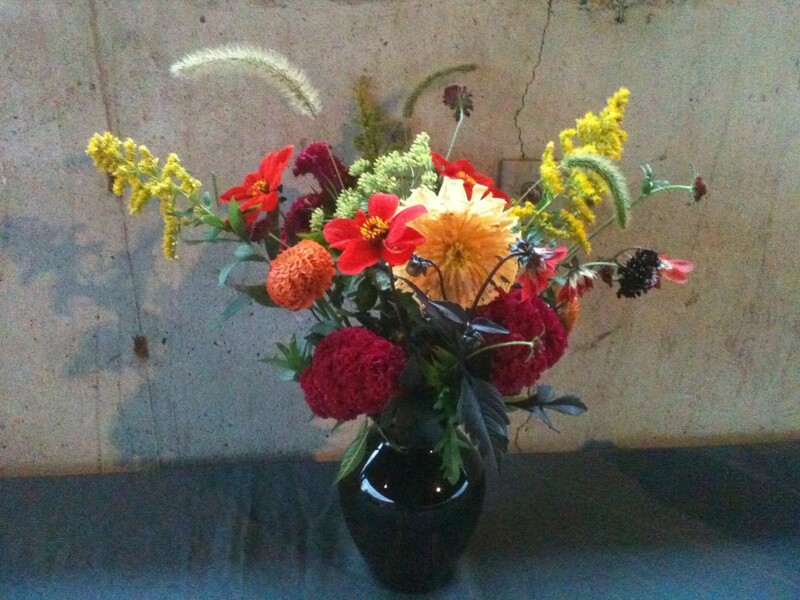 Your weekly bouquet of flowers from Great Bend Farm will be included in your Eckerton produce CSA share each week. Further details are below. To sign up for the Flower CSA, visit http://www.greatbendfarm.com. Enjoy fresh, local flowers from June through October. Each week you will receive a mixed bouquet of seasonal flowers. Great Bend’s flowers are grown and harvested with the utmost care and will brighten your home or office all week long. Great Bend grows a wide variety of flowers including; dahlias, zinnias, sunflowers, sweet peas, celosia, statice, snapdragons, larkspur, tulips, lilies, ranunculus, and many more. Sign up by April 1st and take $25 off the price of a share. Payment plans are also available. PA. The farm is dedicated to growing high quality flowers, produce, and hay, sustainably. For more information about the flower share and Great Bend Farm, visit their website, http://www.greatbendfarm.com.